Can Not Getting Enough Sleep Really Lead to Weight Gain? Health experts generally agree that getting 8 hours of sleep each night is necessary for most people to be at their best. Some people require even more. Sleep allows your body to heal and recharge, and provides a range of cognitive and psychological benefits as well. There is also evidence that proper rest can play an important role in weight management. What does sleep have to do with weight? But researchers from the University of Chicago posed the opposite question in a 2005 review funded by Pfizer/Neurocrine. They wanted to know whether not sleeping enough could actually cause people to gain weight. The researchers began by looking at data from participants in a 1960 survey, including the amount of sleep they got and how much they weighed. Then they compared this to more recent data about Americans’ sleep habits and weight. In 1960, survey participants slept an average of 8 hours nightly. Today, however, most Americans sleep only 5-6 hours. At the same time, our waistlines have grown substantially. 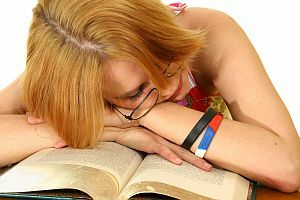 Lead investigator Eve Van Cauter, PhD and her team decided to take a closer look at what people today might be doing differently to affect sleep duration and whether sleep deprivation may be leading to weight gain. According to their work, sleep loss may contribute to weight gain by affecting the release of certain hormones, appetite and glucose tolerance. The pituitary gland, which is the “master” organ of the endocrine system and plays a key role in regulating your metabolism, is affected by sleep. For instance, certain hormones are released when you sleep yet inhibited if you don’t sleep enough. The autonomous nervous system (ANS) controls your involuntary bodily functions, such as heart rate and digestion. Broking the ANS down further, the sympathetic nervous system maintains the body’s “fight or flight” response and the parasympathetic nervous system controls things your body does while it’s resting such as controlling your appetite. During deep sleep, parasympathetic activity increases, while sympathetic activity decreases. But when you don’t get enough sleep, the balance is thrown off, leaving your sensitive metabolism upset by too much sympathetic nervous system action. This can leave you awake and raiding the refrigerator at odd hours. One of the studies reviewed demonstrated elevated cortisol levels, lowered thyroid function and increased growth hormone levels in people who experienced 6 days of restricted sleep. Alterations in these functions have been known to contribute to weight gain and insulin resistance, both precursors to metabolic conditions such as obesity and diabetes. Sleep deprivation may also have a more direct impact on how much food you eat. Staying awake longer than you should requires additional calories. This can translate into a larger appetite. The researchers noted other studies that showed how sleep loss could tempt you to eat more by altering levels of leptin and ghrelin, the hormones that control your hunger levels. So it seems as though there is a relationship between sleep and weight. Your overall health, bedtime behaviors and environment might be sabotaging your sleep quality and duration—and contributing to your growing gut. If you’re having difficulty falling or staying asleep, experts recommend turning off electronics and dimming lights at least an hour before bed. Keep your bedroom cool and dark to promote quality sleep. Some people can benefit from light stretching and breathing deeply just before bedtime to ease tight muscles and release tension.